Made fresh to order. That's the promise Xiao Lao Wang makes when you order its new house speciality of Curry Fish Head (RM58 small, RM98 medium, RM128 large). 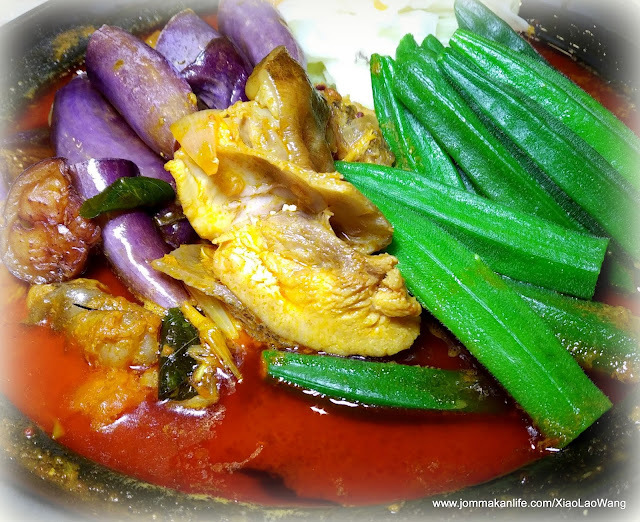 A substantial pot of rich, aromatic curry filled with chunks of meaty fish head, tender okra, thick fingerlings of eggplant and sliced cabbage, it is a sublime serving everyone can relish with gusto. Co-owner Pamela Jan assures us this delectable curry is cooked to order, to ensure its uncomprising taste quality. Established in 2013 by avid photographer turned restaurateur and passionate cook Andy Ong with his partner Pamela Jan, Xiao Lao Wang is a culinary outpost where every dish is a labour of love and an extension of the duo's finicky expectations. 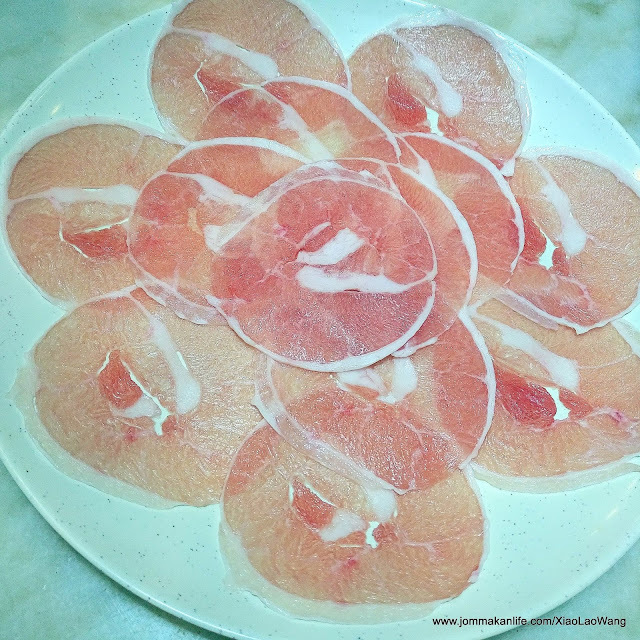 What finally appears on the menu is a testament to the owners’ deep-seated belief in using great ingredients especially those by artisan food producers and ethical farmers. Such produce is revered and treated with respect; prepared with correct techniques to preserve the nutritional value. While Pamela waxes lyrical about their bio-dynamic greens from Terra Organic Farm up in Cameron Highlands, we digs into the piping hot plate of Bio-Dynamic Pea Sprouts with Egg White (RM18.90). 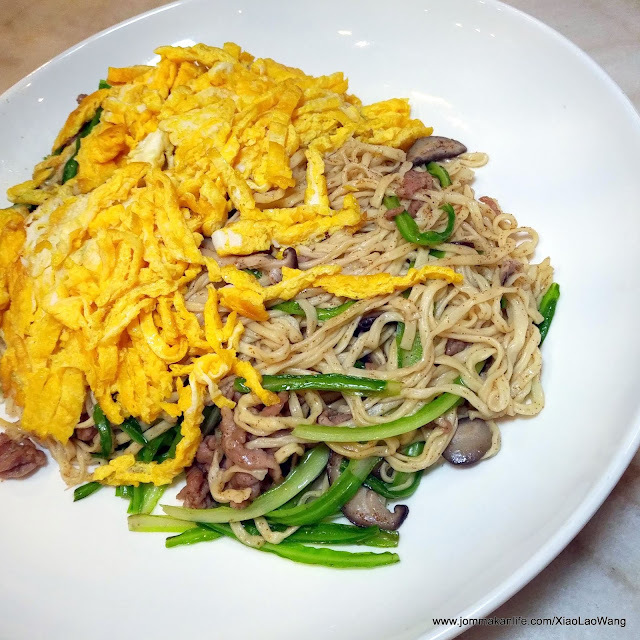 Smothered in translucent, wispy egg white sauce, the slippery greens easily passes off as wan tan hor — Cantonese-style fried noodles in unctuous egg sauce except the healthy dish is carb-free. It didn’t escape our attention the fresh, sweet astringency of the Bio-Dynamic Xiao Bai Chai (RM15.90) was more pronounced on the tongue. You can also order some of Xiao Lao Wang's delectable Housemade Mushroom Pork Balls (RM12.90) with a portion of the bio-dynamic greens and make a hearty, comforting meal out of it. 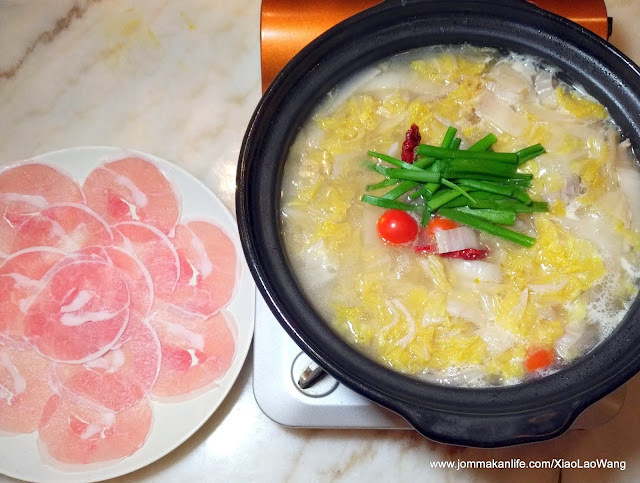 An evergreen popular mainstay here is the Housemade Pickled Cabbage & Pork Belly Soup (RM58 small for 1-4 persons, RM68 large for 5-8 persons). We highly recommend pairing the tummy-warming broth with a platter or two of Pork Belly Slices (RM9.90/100g small, RM15.90/150g large). 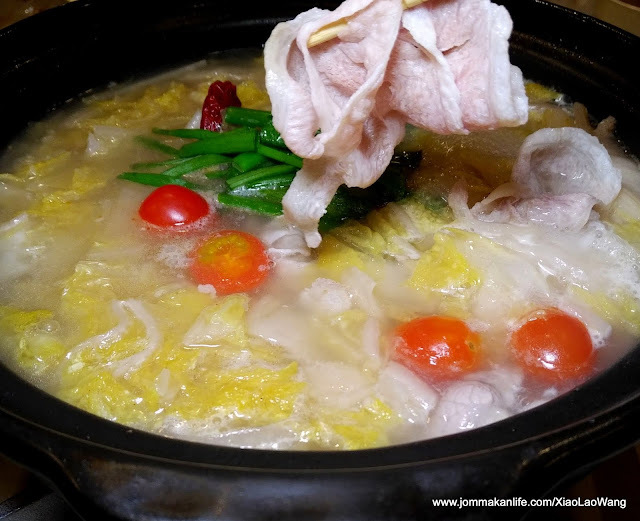 The hot pot brims with uncompromising goodness you can drink to the last drop. A side table laden with different saucy condiments lets you concocts your own dips and sauces whilst a select list of complementing ingredients: meat, dumplings, greens and fungi is available as additional orders. 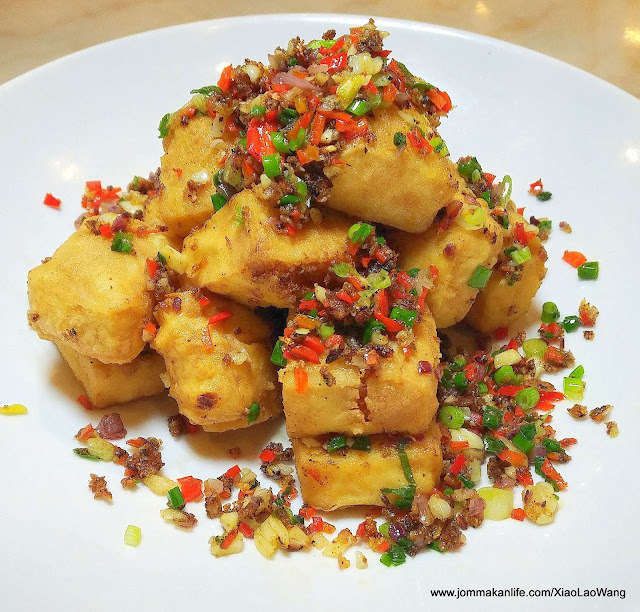 Should you feel peckish while waiting for the hot pot to come to a boil, nibble on Salted Chilli Tofu (RM18) to whet the appetite. Crisp on the outside and custard-soft inside, the smooth beancurd is a delightful conversation-starter among young and old. Oozing old-school charm aplenty is the mildly boozy-gingery Rice Wine Chicken (RM18 small, RM23 big). A dish guaranteed to win over old folks in tow. 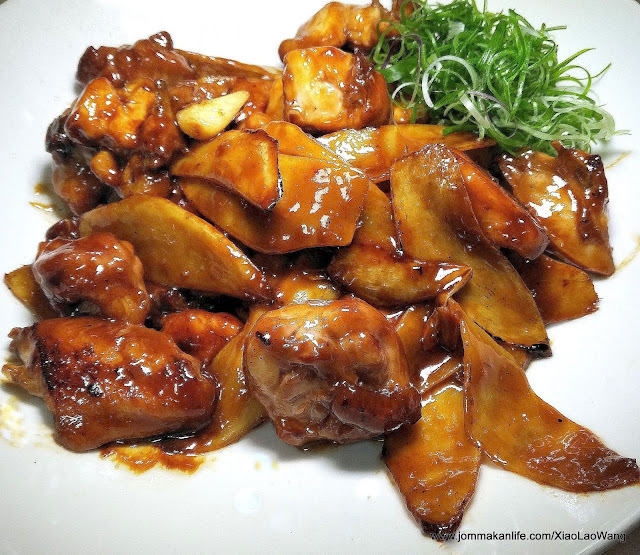 Younger diners may find greater appeal from the tangy-sweet Plum Sauce Chicken (RM18 small, RM23 big). It's a dish of bite-size fried chicken chunks tossed in sweetish plum sauce with mango dices and slivers of red chilli. 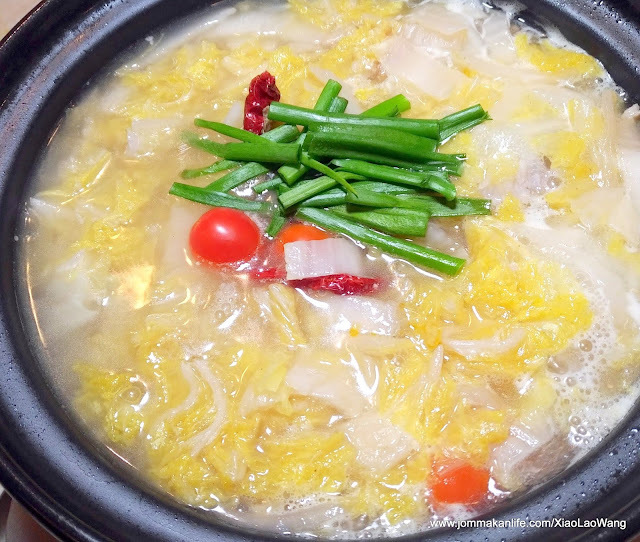 One dish to transcend the generation gap would be noodles like the Signature Yee Mee (RM28). Smothered with shredded omelette, mushroom and greens, the ensemble is a wholesome and complete meal on its own for both young and old. Filling albeit less heavy than rice, this should be a perfect solution for a family or friendly gathering. 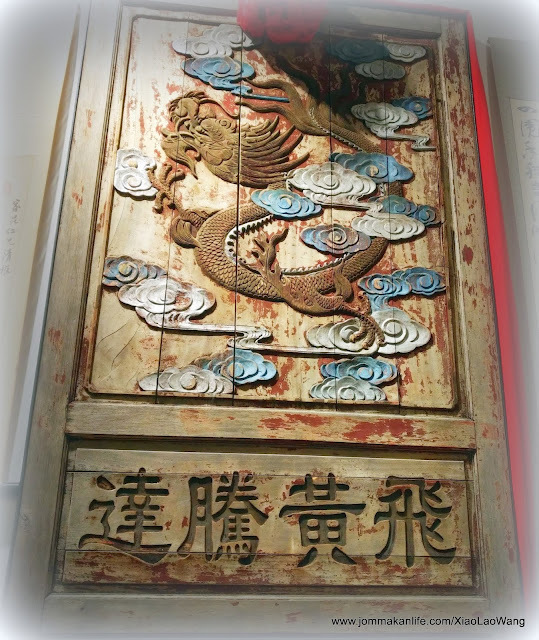 For reservations, please call XIAO LAO WANG, tel: 03-7496 0670. Address: 100-G021, The School, Jaya One, Petaling Jaya, Selangor.